By Krista Baliko Posted: January 11, 2017 10:30 a.m.
Strategic Research Plan 2016-2021. "We will strengthen the already rich research enterprise on our campus" - Dr. David Malloy, Vice-President (Research). 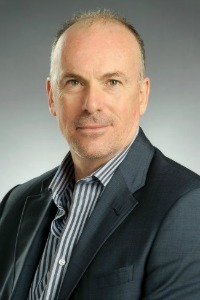 Today the University of Regina launched its five-year Strategic Research Plan 2016-2021, which will guide the University’s research endeavours over the next five-years. 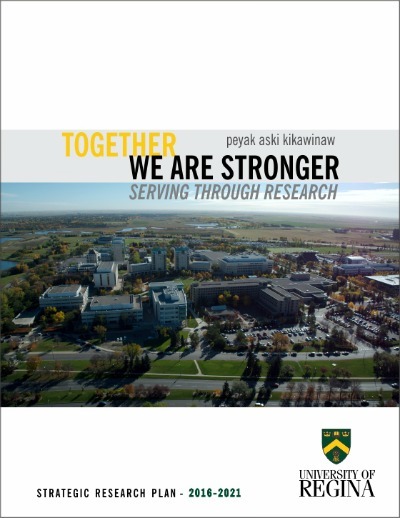 The Strategic Research Plan (SRP) has also been developed to align with the overall institutional plan, University of Regina 2015-2020 Strategic Plan peya aski kikawinawaw. Dr. David Malloy, Vice-President (Research), led the group who designed the SRP, and says he is proud of the work that went into developing this plan that will enrich the University’s research community. Malloy says the plan makes clear that it is through our research that we serve our communities. • Strengthen support required for students and researchers to deliver high impact outcomes. • Advance the profile and awareness of research successes locally, provincially, nationally and internationally. • Increase research partnerships and projects with First Nations and Métis people, communities and organizations, including First Nations University of Canada. • Develop and implement processes, procedures and tools to help ensure the University’s strategic research plan is actualized. • Facilitate and support high quality research with dissemination practices including public engagement. “Through the implementation of this plan, we will strengthen the already rich research enterprise on our campus, and help to make the University of Regina a leader locally, nationally and internationally,” says Malloy. To view the plan please visit here.